Located in the historic Manatee Pocket, a yachting destination renowned for its sport fishing and “old Florida” feel, our Stuart boatyard has been serving the needs of discriminating Hinckley and non-Hinckley boat owners for decades. 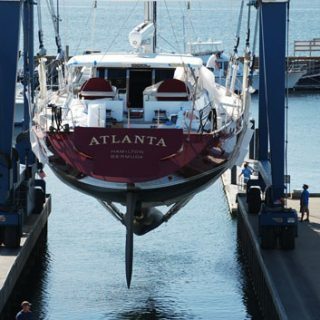 Over its years of operation and service, it has developed a reputation for superior marine carpentry, fiberglass, hull, and engine repair work. A recent recommendation posted on the website ActiveCaptain reads “Excellent service yard. Good stop heading to the Bahamas and back. Nice docks. Good for major and minor projects. Big travel lift. Ask for Tony or Brian.” We agree. And we would add this: Hinckley Stuart is close enough to Ft. Lauderdale, but far enough off the beaten path that our high quality work can be delivered at a very competitive price. 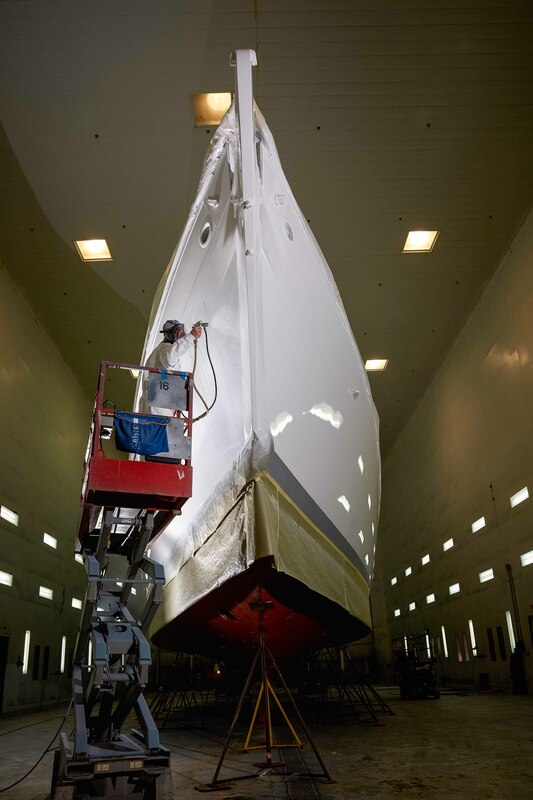 Whether you require Awlgrip, Imron, Interlux or other marine paint finish, Hinckley Stuart has a state of the art paint booth that will paint your boat to look like new. 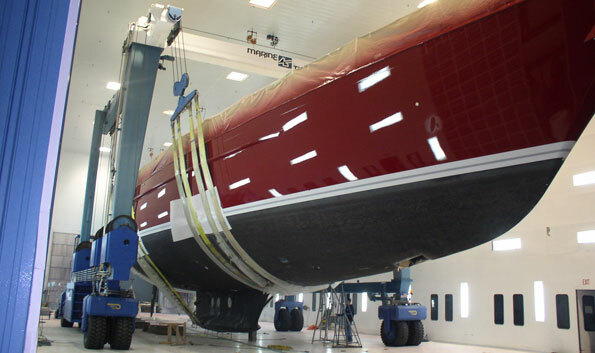 We take pride in being the best in the industry in yacht painting. 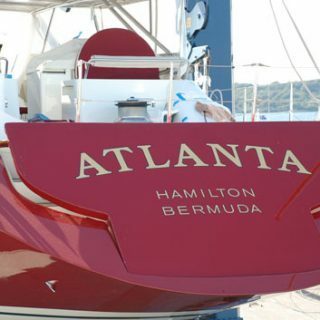 Whether you need hull paint or a complete hull and deck paint job, we will be happy to provide an estimate for your boat and complete your new yacht painting project on time and on budget. 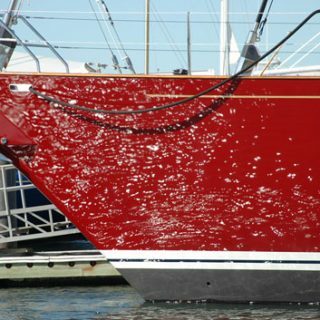 While your yacht is with us, take advantage of our renowned fiberglass repair and gel-coat repair. 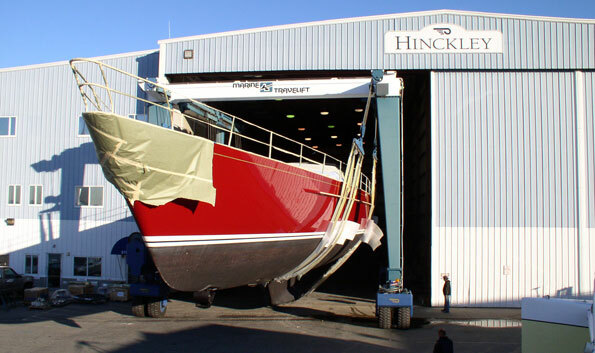 Hinckley has all your boat painting and yacht finishing needs covered. 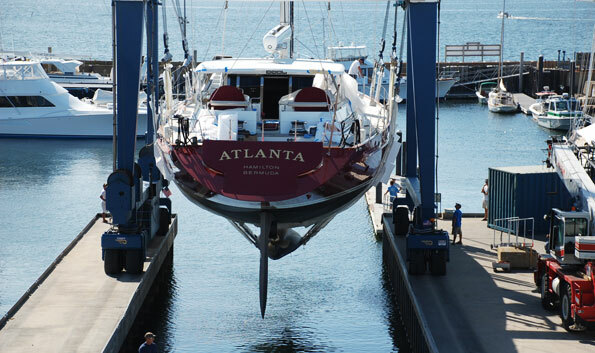 Our facilities can accommodate boats up to 130’. 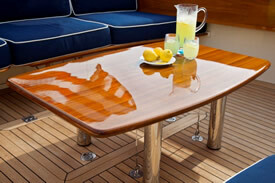 Marine varnish and teak refinishing are specialties. Let Hinckley Stuart restore your teak deck, bring back the luster of your yacht’s brightwork, replace teak rails or other trim pieces. We strip and spray teak brightwork with clearcoat building up a finish that is lasting and beautiful. Let Hinckley Stuart give your teak varnish a brilliant finish. 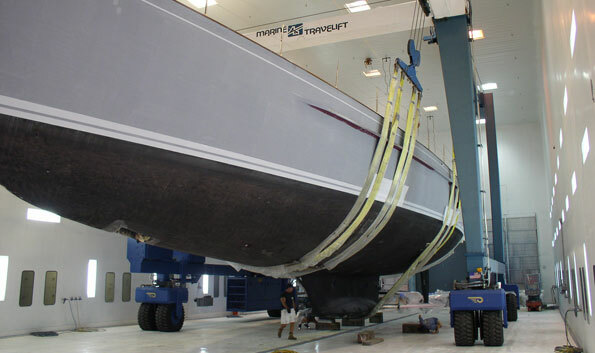 For boat storage, all the options are available for all makes and models at Hinckley Stuart. 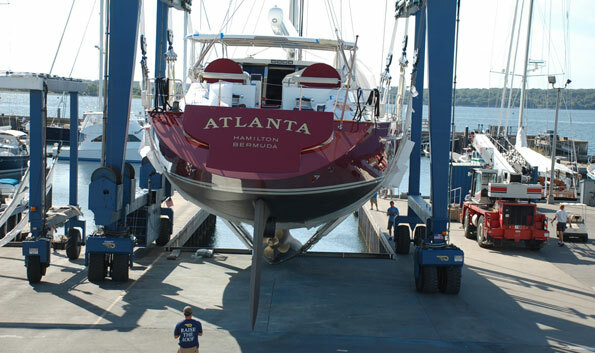 We offer safe and secure boat storage whether you require wet storage or dry boat storage. Hinckley’s Stuart marina also has boat slips available centrally located on Florida’s Treasure Coast and close to the St. Lucie inlet. 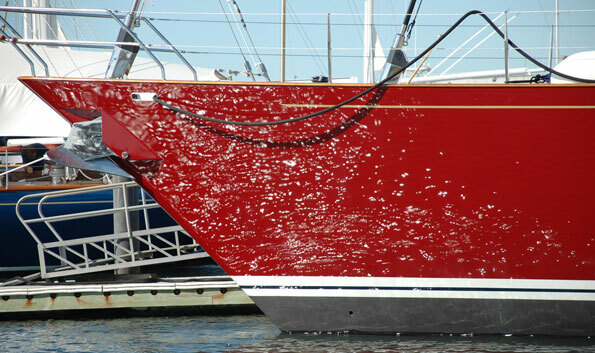 Slips with draft up to 7’ are available to accommodate most sailboats. 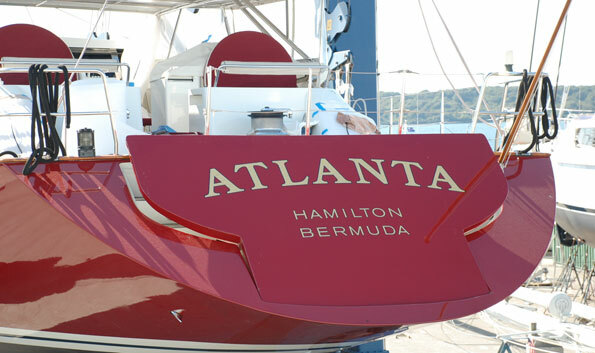 We offer complete boat upholstery services for all boat seating and outdoor canvas. From bimini to settees, to port shades, boat curtains and crew carpet, call on us. 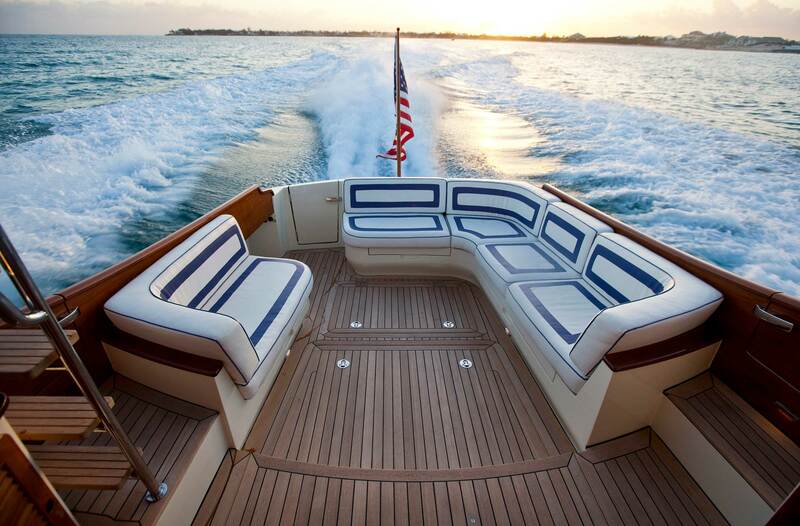 Our marine upholstery department will work with you or your designer to create just the right boat interior. 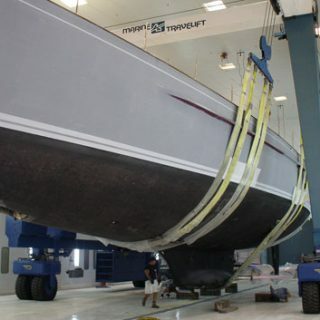 Hinckley Stuart completes structural hull and deck repairs and marine modifications in steel, aluminum, bronze, titanium and stainless steel for all types of marine applications. 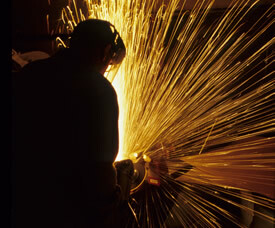 We work on commercial vessels as well as pleasure boats. 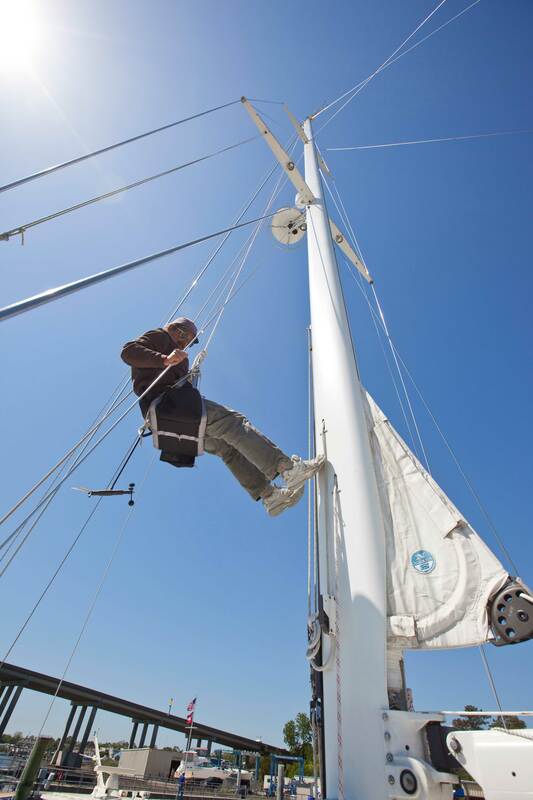 Whether you need a to repair the running rigging, replace a hydraulic system or install a new winch or roller furler, our sailboat rigging specialists have the expertise. We have a spar crane on site. 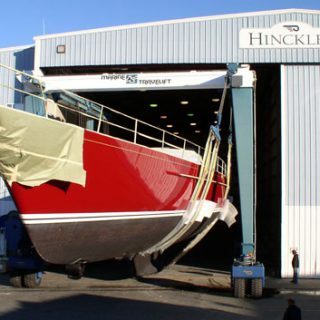 Let Hinckley take care of all your marine electronics needs. We are servicing dealers for Furuno, Raymarine, KVH, Simrad, B&G, Flir, Northstar and most other marine electronics that keep your boat safer, more secure, and keeps the cruising easy. Ask about Hinckley’s remote vessel monitoring system, OnWatch. Hinckley OnWatch reports all your boat’s critical information right to your phone or tablet, and to your Hinckley Service Manager so we can help even when you’re off our docks. Hinckley’s reputation is well deserved and recognized throughout the world. 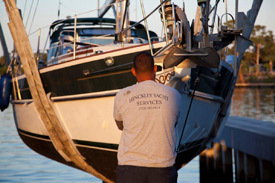 Let our shipwrights repair or replace your teak deck, toe rail, overhead, yacht cabinetry or any fine detail including port and windshield replacements.